Working towards sustainable recovery with Dear Albert by working out what’s best for you. Thank you and well done for getting this far. Excessive alcohol consumption and drug misuse affects thousands of people every day. You are not alone; although we appreciate it can often feel that way. This can be especially true in the beginning, when you start to realise that the problem isn’t going to go away on its own, that it’s simply not a viable option to just ignore the problem anymore. With a range of bespoke and off the shelf group work, 1-2-1 and consultancy options, Dear Albert is here to work to your priorities. Regardless of demographic, substance or sub-group, we can specifically target focused interventions when and where they are needed most. Familiar with different client pathways, we also know about the routes involved in getting things right: from input preparing a successful bid, right the way through to the challenges of securing PbR targets, we are here to support you all the way. Dear Albert can bring a fresh collection of recovery orientated ideas and approaches (along with several pairs of fresh eyes as required), providing a set of interventions, treatment options, and complementary planning/delivery models that are professional, creative, focused, effective and evidence based. Able to work on several different levels, the following two categories describe the areas in which Dear Albert can help. 1. Group work: You do the MAFs. We can come and deliver, or teach your own staff to deliver our fully evaluated mutual aid facilitation programme. This programme is proven to increase engagement with mutual aid as well as provide a range of other positive outcomes. On a broader basis Dear Albert can help you embed authentic recovery within your services in a number of flexible ways: enhancing your existing efforts to make recovery more visible, viable and sustainable. This may include anything from support with peer mentoring to championing your success stories. We can for example facilitate (and manage if necessary) social media platforms and print mediums to generate recovery contagion and a greater understanding and appreciation of what you already do. 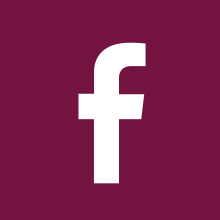 See our Facebook as an example of what we build, or help you build; for your own organisation as an on-going recovery resource. Our work here is far more than just a PR exercise, it’s about services playing their part in creating visible, viable and vibrant recovery. If ‘carrying the message’ more effectively will help make recovery and the work you do visible, then training, managing and providing opportunities for peer mentoring will create another tangible facet, generating further positive links and working alliances with recovery communities and existing community assets. Dear Albert can help your organisation play its role in supporting the establishment and growth of recovery communities in your area and provide on-going support for those post treatment/aftercare thus restricting the occurrence of re-presentations and the need for ex-services users to re-enter treatment. Dear Albert has produced some great recovery material to accompany the documentary film ‘Dear Albert’ – exploring in more detail some of the themes and concepts raised by the film, adding further depth and understanding to the learning experience. Accompanied screenings allow your organisation to fully benefit from hosting the event, build on the experience and incorporate the learning. Consultation with audiences taken from preview screenings and (International) film festivals confirm the documentary has a strong preventative message to those not abusing substances. 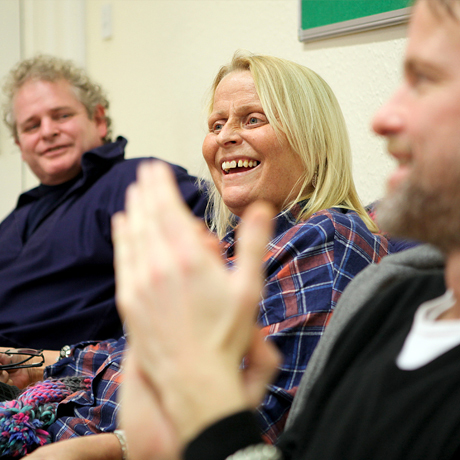 For those in recovery, the film was a motivating factor to remain engaged, whilst those not in treatment, but who were ‘using’, became more motivated to change their behaviours and engage in the recovery process. Produced by Nick Hamer, Intrepid Media, ‘Dear Albert’ the film follows recovery consultant Jon Roberts as he works with addicts in the earliest stages of their rehabilitation. Director Nick Hamer explores Jon’s own journey with addiction, especially the struggles he faced saying goodbye to Albert, his street-side altered ego and part of the elaborate lie Jon and other addicts wrap around themselves to hide the extent of their substance abuse. “Sober, steadfast, and optimistic Jon Roberts offers insights to addicts drawn from his own challenges”. Dear Albert also delivers a well-researched, very well received peer-led facilitation programme called ‘You do the MAFs’ (Mutual Aid Facilitation sessions). 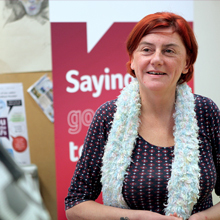 ‘You do The MAFs’ effectively directs and assists participants into a variety of local, regional and national positive support networks; as well as becoming a peer-led support group itself. You do The MAFs can be delivered within your own premises or elsewhere, with flexibility to fit into existing timetables and commitments. As a useful and proven gateway to mutual aid and other supports, courses are particularly effective at the beginning of a service user’s treatment pathway as it can be used as a vehicle to facilitate complete engagement within your existing treatment programmes. However You do the MAFs can be utilised throughout any stage of care/recovery planning. Dear Albert works successfully with statutory organisations, government bodies, charitable organisations & private businesses coming into contact with substance misuse clients. Whether you are a housing association, job centre, work provider, wellbeing centre, gym, training facility, work ready organisation, school, college, family support organisation, private business, etc, working with people who have, or you think might have, a drug or alcohol problem can be challenging, and quite possibly over whelming. Dear Albert is here to help. There are too many potential scenarios to run through here. 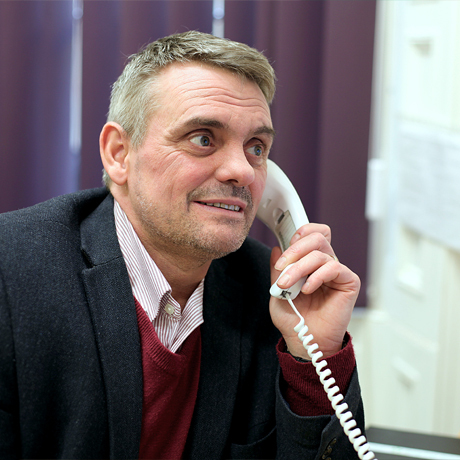 If you would like more information, be it regarding an individual case, or an on-going group, please give us a call. We can provide surgeries for particular cohorts and hard to reach groups. We can train and support existing staff in how to approach difficult subjects, and inform where and how best to signpost and refer. 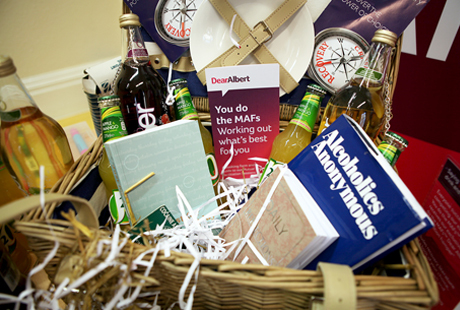 Dear Albert is able to work with difficult to reach individuals or families where substance misuse is identified as a barrier to engagement with your service or other services. 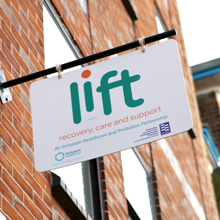 We can provide basic Information and Guidance through to a full range of testing, with assessment and referral into appropriate programmes and treatment options as required, including participation in our own 1-2-1 counselling and recovery groups. Download our information pack and find out why we started and how we work with organisations to help people say goodbye to drink & drugs.